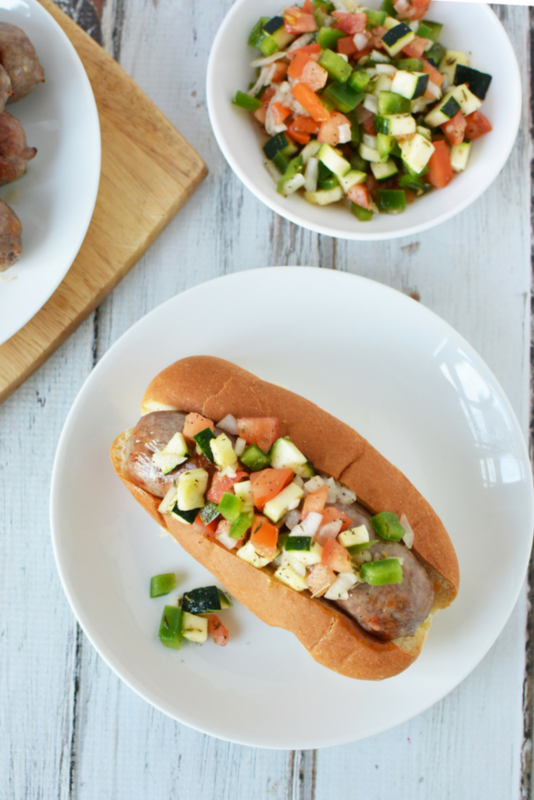 Everyone loves a good summer barbecue, and we are off to a great start this year including our Healthy Veggie Relish alongside our favorite grilled meats to bring a bit of pep to a classic brat! Check out our recipe below and tips for staying healthy at your next weekend barbecue or outdoor party! When it comes to summer barbecues, we love hitting up our local Walmart for the best deals on foods and snacks. 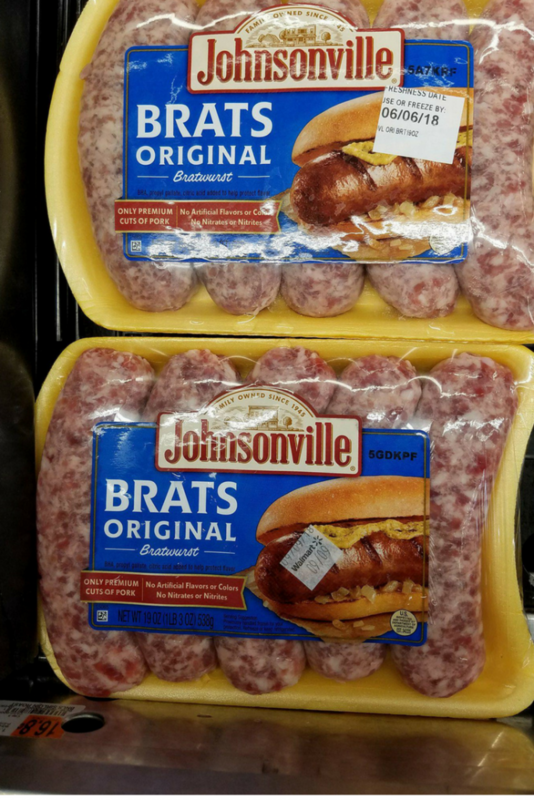 We chose the Johnsonville Original Brat for our Memorial Day outing this year because it is a favorite for most in attendance. There are tons of other amazing Johnsonville sausage options available at Walmart if you prefer a different flavor profile. This just happened to be our classic pick for this event. 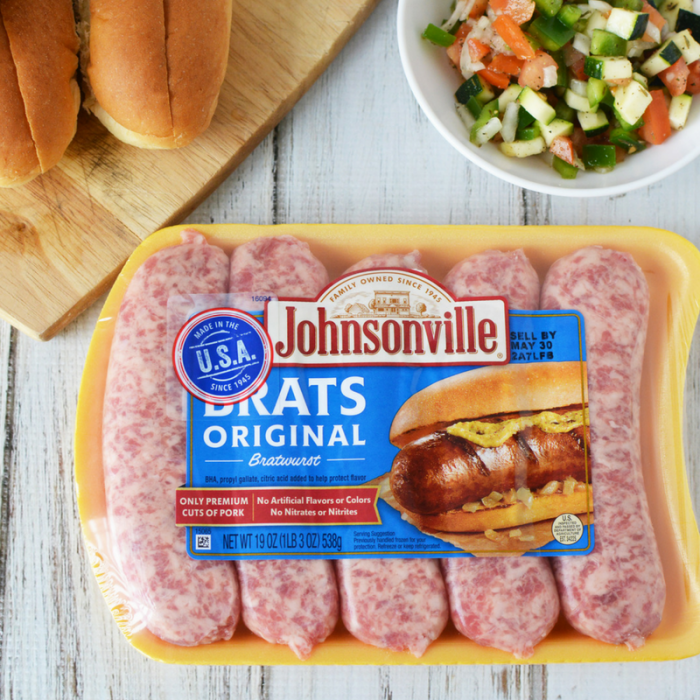 Johnsonville is made of premium pork from US and Canadian farms and is a trusted brand that started in 1945. Years of quality in this gluten-free product make it a standby go-to option for our family. The guys love them grilled with a little ketchup for a classic option, but you can dress them up or prepare them any way that you want! This year, check out the fun with the Upgrade Your Summer event that allows you to enter easily for a chance to win tons of great prizes! 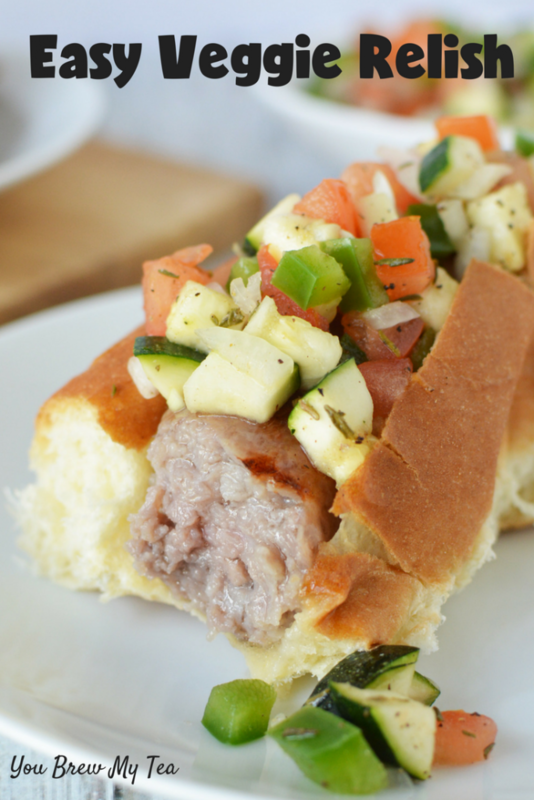 What better way to show off your favorite additions to a grilled brat this summer than enter for a chance to win something?! It’s super easy and no purchase necessary! Complete rules and forms to fill out are at the Upgrade Your Summer event website. Enter for a chance to win the prices below! One (1) Sonos Out Speakers. The best part of this healthy veggie relish recipe is that it is a great low fat and healthy option to go on your grilled foods. 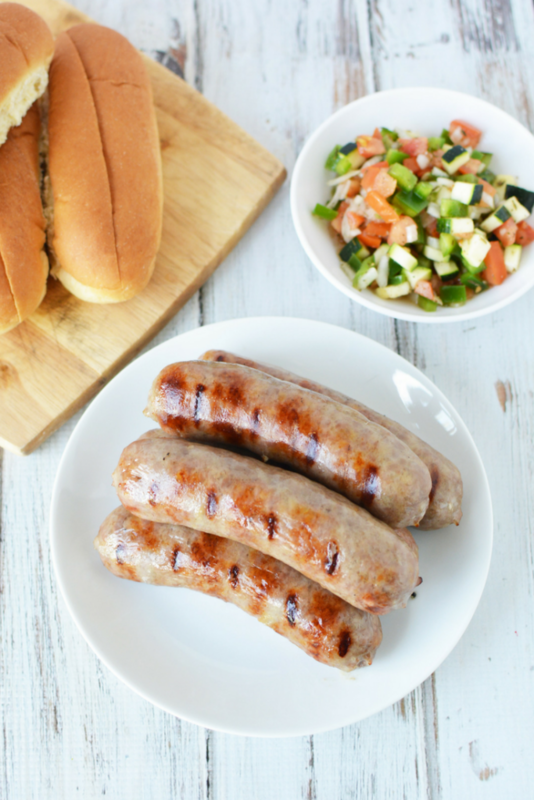 We love the brats we chose, but you can add this to grilled chicken, hamburgers, or even other flavors of Johnsonville Brats (like the turkey cheddar option that is only 3 SmartPoints on Weight Watchers FreeStyle Plan). This relish is a zero point per serving option on the popular Weight Watchers FreeStyle plan when you omit the sugar or use a sugar substitute! 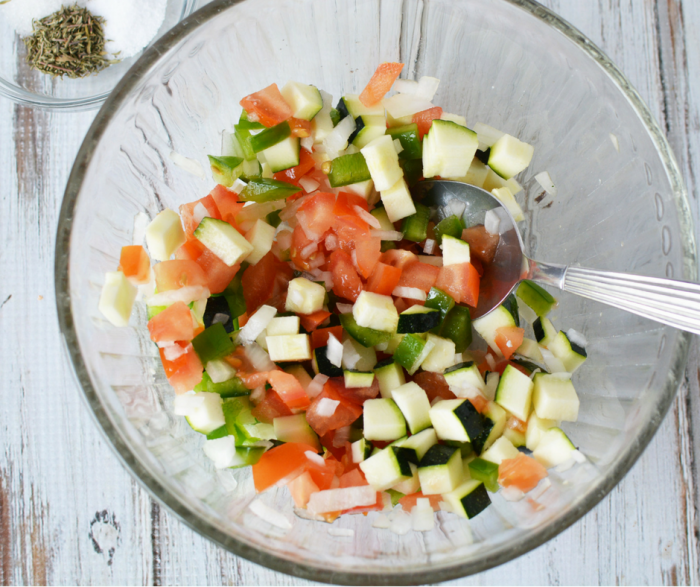 Mix tomato, zucchini, green pepper and onion in a bowl. Add seasonings and mix well. Stir in vinegar. Let relish sit overnight, covered in the refrigerator so flavors mingle. Stir well before serving over brats. It’s so easy to mix things up this summer and upgrade your summer barbecue with a few simple veggies! 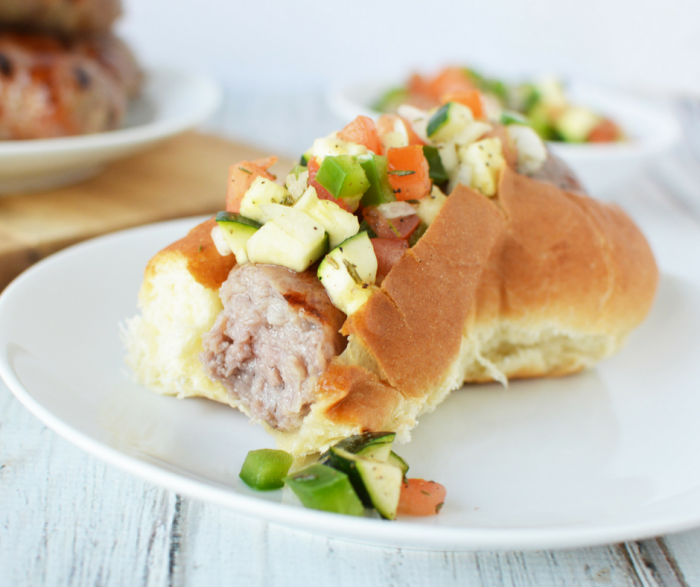 We love enjoying a favorite option like one of these Johnsonville Original Brats without a bun and covered in this relish for a nice, flavorful, and easy meal that isn’t as bad on fat and calories! Skip the condiments and make our delicious relish instead!